What should you know when buying a hot tub? You want to buy your first hot tub, but there are so many brands and varieties to choose from, what do you do? A hot tub is a pretty big purchase, so we really feel that a little hot tub education is a very important part of the process. We thought we would educate you on some of the important things to consider, and right questions to ask before you purchase a hot tub, whether it be your first or second. You may hear different things from different people in the hot tub world, but there are really a couple of important factors to keep in mind. Where to put your hot tub? Do you want an indoor tub, or an out door tub? Indoor Spa-If you want to install your hot tub indoors, you must consider a few important details. You need to make sure you have the indoor space for a hot tub, even if it is a smaller model. You also need to get it through the door. Ventilation will be needed. You will need to rid the additional humidity and moisture from an indoor tub. Of course having proper drainage is important too. Is hot tub insulation important? Many YES. It is a very important factor when choosing a tub. Don’t let anyone tell you otherwise. There are basically two ways to insulate a hot tub. The top cover and the the sides (area inside of the shell). Basic– a thin layer of polyurethane foam lining the inside of the shell. The rest of the space is empty air. If your tub has a lot of plumbing (some do, Bullfrog Spas do not), then this may be a benefit. In terms of insulation and helping to control energy costs, basic insulation really is not doing much at all. Layered– this type of insulation is basic insulation with an additional layer of foam. This only real difference with this partial insulation is that the layer of foam adds additional strength to the hot tub shell. If a hot tub does not say full insulation, it is only partially insulated. Full foam insulation. Quality full foam insulation in your hot tub is what you want. The majority of above ground hot tubs have full foam insulation. Beyond preventing heat loss and the energy saving benefits of using less electricity, proper full foam insulation also reduces noise levels, and adds to shell strength. 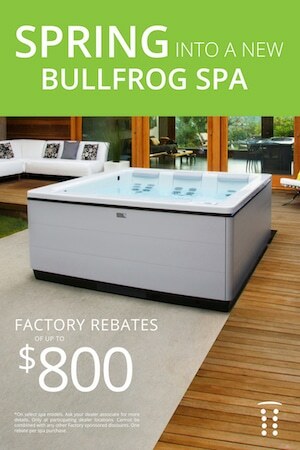 *We offer Bull Frog Spas because of our belief in their product, the customizable features, and because they are one of the most energy efficient hot tubs available. Insulated Cover. Internal insulation is just one form. Prevent your hot tub water from being exposed to cold air with an insulated hot tub cover. The jets in a hot tub essentially provide a hydrotherapy massage. There are water and air jets. Many people desire to purchase a hot tub for therapeutic reasons alone. It is important be educated on the jet styles and functions, especially if that is one of the main reasons your are purchasing a hot tub. We are geeks when it comes to hot tubs. Beyond just the look of a type, overall functionality, efficiency, life span, and customer support is very important. Always feel free to call us or come into one of our locations to get hands on information about the different jet systems. How is the hot tub manufactured? What is the tubs plumbing like? Understanding the basics of plumbing is an important part of the hot tub buying experience. Like insulation, not all plumbing in a hot tub is created equal. The overall quality and efficiency of the tubs plumbing is a big part of how long it will last and possible problems that could arise, again depending on the plumbing. Of course, you we are not saying that you need take a plumbing course, but ask about the plumbing of tub. Your hot tub advisor or sales person should be able to offer you some insight, without boring you completely. These are a few of the important factors to take into consideration when shopping for a hot tub. It is really important that wherever you shop, you are well advised. A hot tub is a wonderful addition to an indoor or outdoors space and can add a lot of value to you and your family. Shop responsibly! 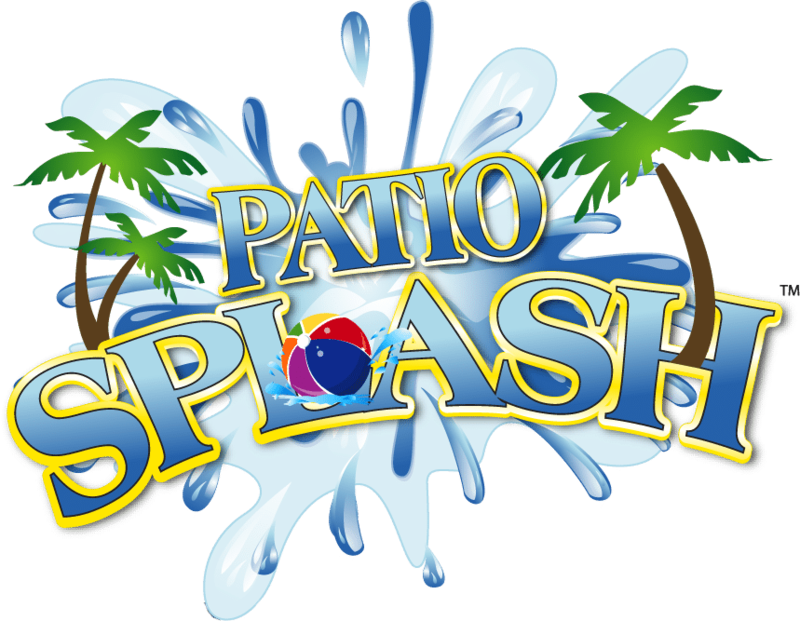 Happy Holidays from our team at Patio Splash! We invite you to call or visit our showrooms to learn more and browse our hot tubs. Check out our current sales and specials, and save! Get Hot Tub & Spa Information!